As we've previously reported here at Tech.co.uk, HP is now the number one PC manufacturer in terms of units sold. But that was only in the final quarter of 2006; new market research by iSuppli clearly shows Dell was ahead if you take the year as a whole. Over the year, Dell sold over 39 million PCs, as opposed to HP 's 38.2 million. However, the difference that has been the focus of media attention only happened in that final quarter, with HP shipping 11.6 million and Dell 9.6 million. HP will be rubbing its hands with glee; its Q4 share was up a staggering 21.1 per cent on the same period in 2005, while Dell's figure was down 8.6 per cent. "HP's resurgence was the most remarkable event in the PC industry in 2006," said Matthew Wilkins analyst at iSuppli . "The company clearly has momentum on its side." Wilkins thinks the trend is set to continue. "With Dell adjusting to its senior management changes - and the return of Michael Dell as the company's chief operating officer - HP is likely to continue to make gains." 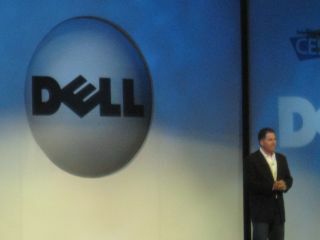 Dell was the only one of the top five global system builders to announce a drop in shipments in 2006. Lenovo sold 400,000 more units, while Acer reported an increase in shipments of over 42 per cent. Worldwide box shifts in Q4 amounted to 66.7 million units, up 11 per cent from the previous quarter and up 6.3 per cent from 62.7 million during the same period in 2005.